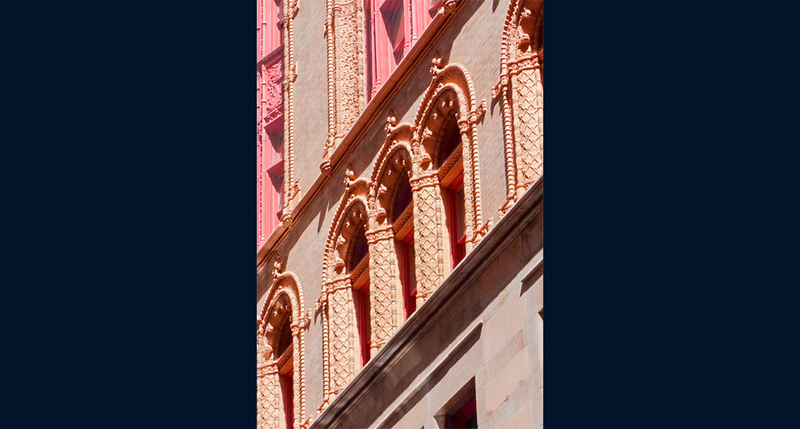 Ornate and slender 19th century terra cotta building. 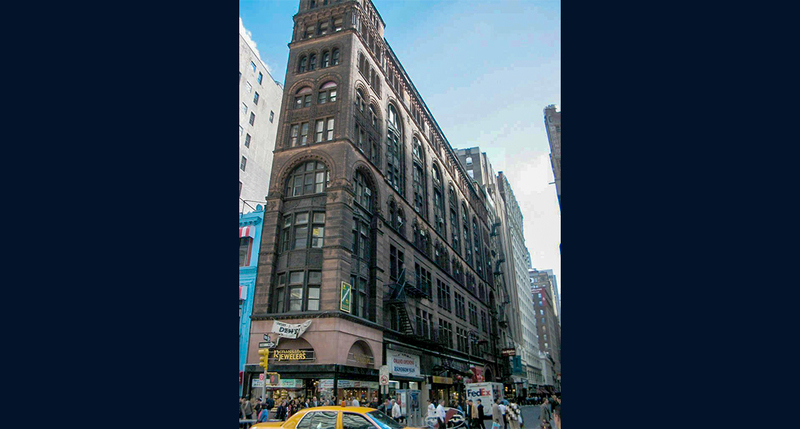 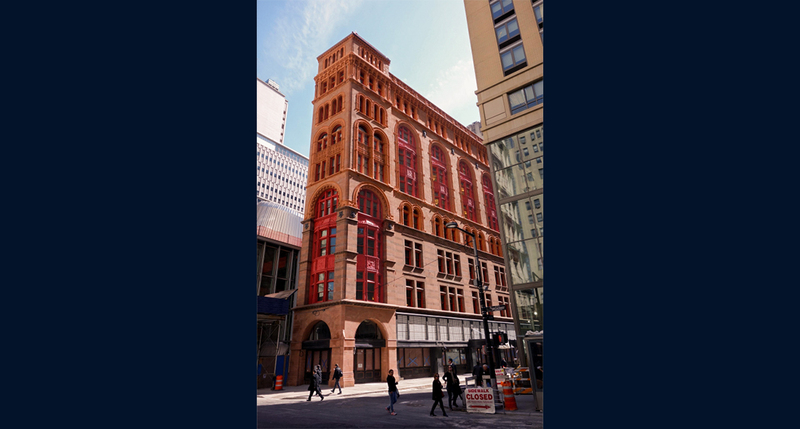 Built by its namesake Austin Corbin (1827-1896), this slender, 19th century building was designed by architect Francis Hatch Kimball (1845-1919) and construction was completed in 1889. 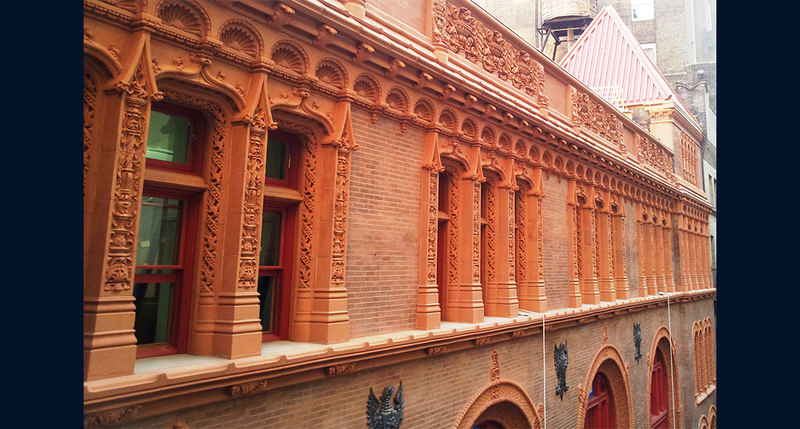 Kimball specialized in utilizing ornate architectural details for various revival styles, and terra cotta provided him with the ideal material to decorate his buildings. 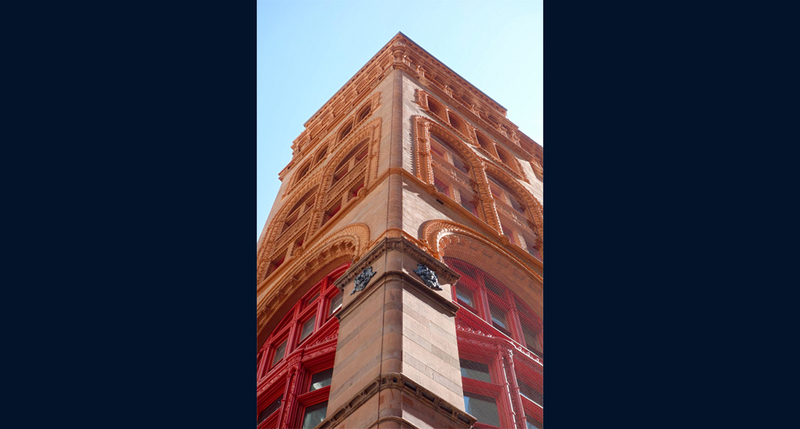 Western was tasked with the complete restoration of the ornate terra cotta, as well as the rest of Corbin’s historic exterior, which is adorned with brick, cast-iron window bays, and brownstone. 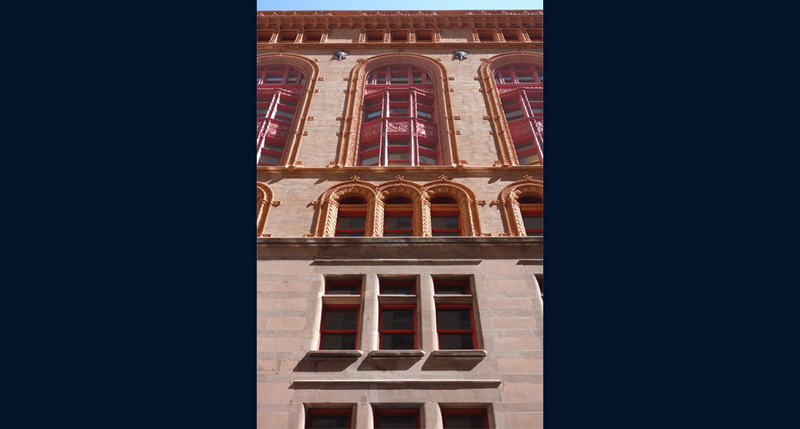 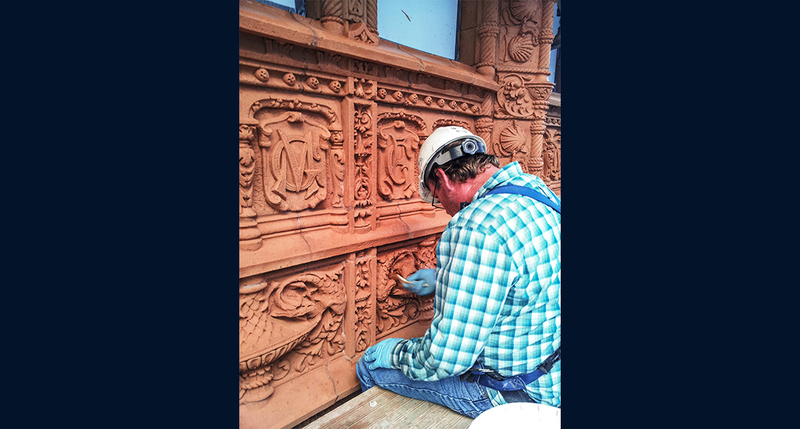 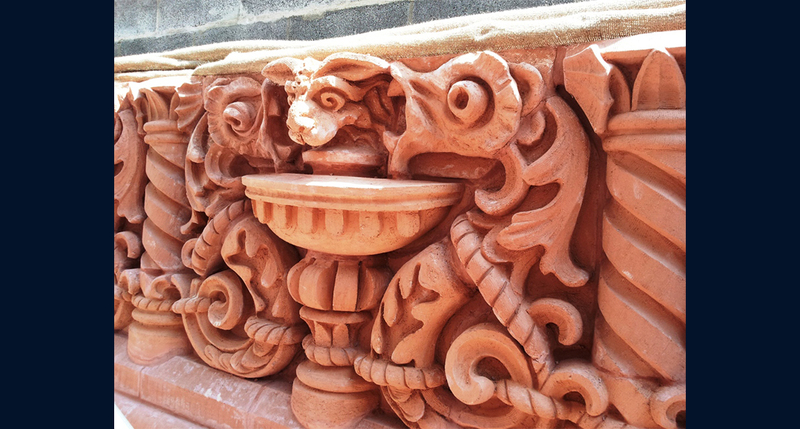 The scope of work included documentation and assessment of each individual terra cotta unit (over 2,000) and cast-iron part (over 1,000) on the building. 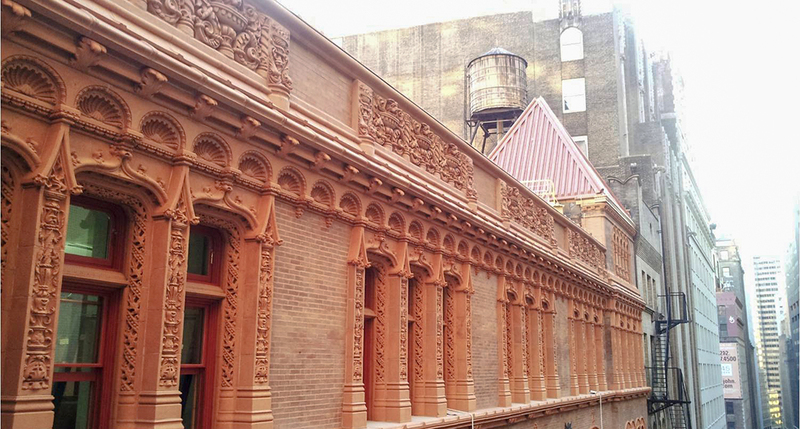 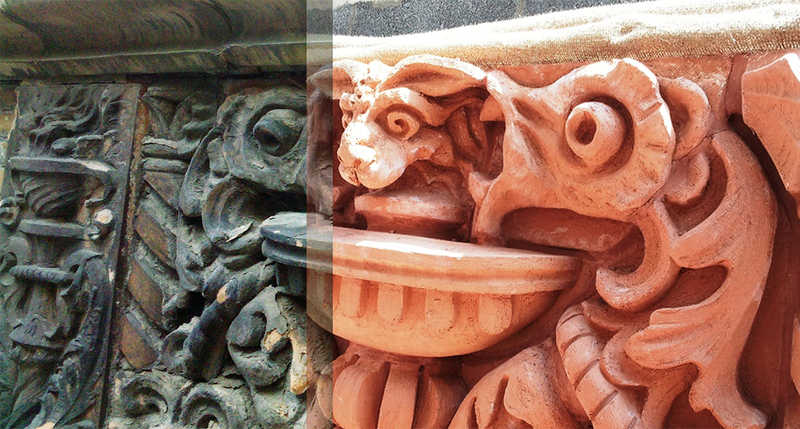 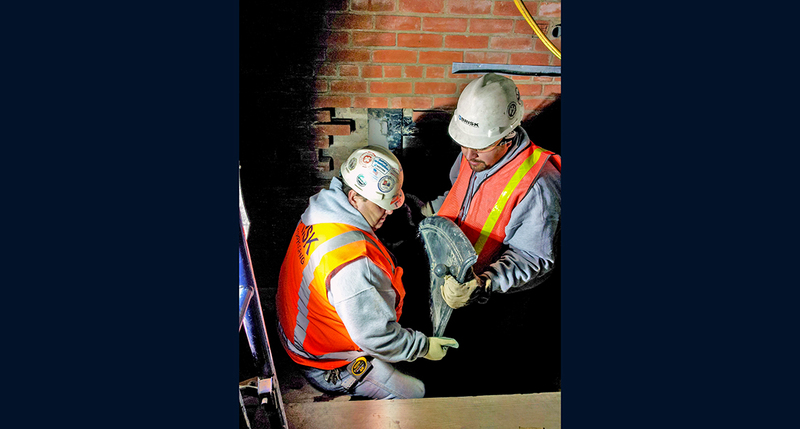 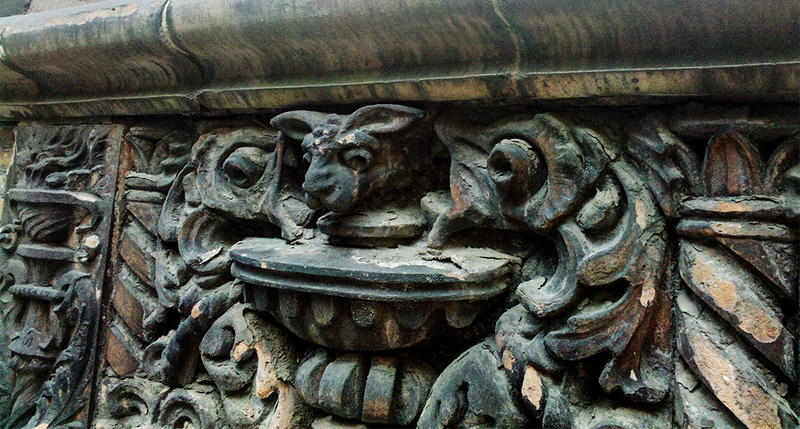 Terra cotta units and iron parts deemed beyond repair were slated for replacement with original models from the building, which were removed for precise replication. 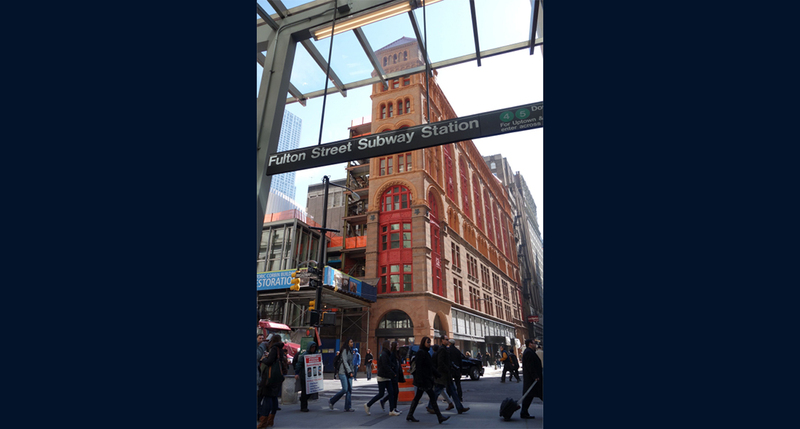 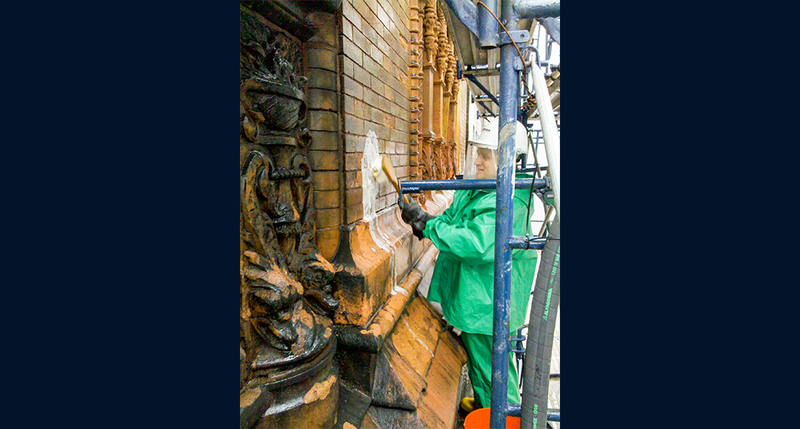 Other highlights from the project scope include comprehensive facade cleaning, 100% re-pointing of all brick and terra cotta units, complete rebuilding of the highly ornate brick and terra cotta parapet wall, building new brownstone storefront entrances to match original construction, as well as restoration of the building’s main staircase with bronze-plated cast-iron panels, mahogany handrails, and marble wainscoting.